Several people at Infosys have told me that noone spends more time traveling across the globe than the COO for their BPO business... Ritesh Idnani. Ritesh has been a constant energy behind Infosys' development as a BPO provider for a number of years, leading both the sales and operations for the group, which has multiplied its revenues 10-fold during his five years tenure for the business. It must have proven quite a ride to be involved with an aggressive market entry, a mini-boom, a Recession, and now a quickly-maturing business. We managed to divert Ritesh from his very fine single malt collection to talk about his experiences and where he sees this all heading down the road. Phil Fersht: Thank you so much for spending time with us, Ritesh. I think we have come off the initial good feeling of coming out of the Recession, and a lot of the companies are grappling with the reality of today’s business climate. Are you seeing lethargy on the buy-side or are you beginning to see some momentum being built from your customer base with regards to growing business? Ritesh Idnani: If I look at the last18-24 months, most of our clients have essentially focused on the cost side of the P&L quite extensively and done some of the standard things that they would do whether its around work force reduction, sale/ leaseback of real estate etc., all of which has contributed tremendously to the bottom line if you will. But if I would look at the one factor that is still a question mark for a lot of firms, it is the fact that the revenue side of the equation is still very sluggish for them. The new normal in some ways is the fact that unemployment still continues to be hovering around double digits. The macro economic data still is a mixed-bag.. We saw some of the data on the the housing side, which came out last week that wasn’t very good.. The fact that revenues are still not growing meaningfully for our clients has meant that a lot of these folks are still struggling for where they are likely to get their next big jump. 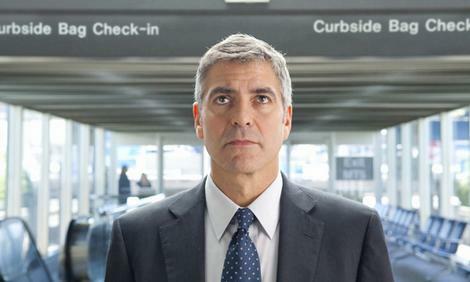 What that has meant is that service providers who have a suite of offerings that stretches beyond the G&A side of the P&L have been very, very relevant. So all the conversations we have been having are focused on the revenue maximization side and on impacting the cost of goods sold. Phil: So where do you see the continuing challenges that are happening in the market right now when you look around the conversations you are having, both from the Infosys perspective but also from the clients’ perspective when it comes to BPO? Ritesh: I think from a buyers’ standpoint there are two shifts that are there. One is that they want to start realizing business benefits very quickly and I think that is one part of the conversation that is there. Its not a question of saying lets give this four to eight quarters to kind of stabilize and then lets figure out how we are going to start realizing the benefits on our business case. Sometimes this has got a very close correlation with the fact that cash is king. It is also reflected today in the fact that you have 2.3 trillion dollars of cash sitting on the balance sheets of all of our clients. That says something in terms of how we are affording and preserving cash in this environment, which also means that our clients want to realize the business benefits sooner rather than later. I think the second piece of it is the entire value equation itself. I think this has probably been more prominent as a discussion point than it ever has been in the past. I think discussion beyond labor arbitrage, beyond process improvement, is very much on the table. The ability to demonstrate business value far beyond these two value levers is certainly something that is relevant to a lot of buyers today. They want to understand how technology can influence a business outcome, “How can we leverage technology to drive a certain outcome itself? How can that impact and influence the business profits?” I think these are conversations that are very much on the table, much more so now, because everyone is looking at ways and means to variablize the cost structure to the maximum possible extent, and to the extent that you have solutions which address that, I think that is going well. It is one of the reasons why we believe that our strategy of converging operations and technology, and the things that serve the next big thing will drive a force to multiply the effect. One example of that is the heavy success that we have seen on the platform BPO side with the offerings that we have been taking to the market. One of the clear propositions with that is the fact that clients with minimal upfront investment are able to variablize their cost structure and they are able to realize the business benefits. It goes far beyond the traditional labor arbitrage and continuous process improvement. Phil: One of the things that have been coming up in the recent conversations has been the tendency from a lot of the incumbent providers to over-complicate, be too difficult to deal with, try and always do things on their terms. We are seeing some of the emerging providers keeping it simple, really help the client understand what they are trying to do, and start off a contract in a much more simplistic fashion. Do you think that’s the case in BPO, where clients get scared of this our way or the highway approach, or they prefer an easy-to-work-with style? Ritesh: A lot of it is really a function of the value drivers that are impacting the buy side at this point in time. For instance, if you find a particular company which is owned by lets say a private equity firm and there isn’t a quarter on quarter pressure out there around, there are interest covenants that need to be paid back etc., then the pressures to impact the business in a certain way may be higher. That could result in an all or nothing approach where what they are doing is to actually open the keys to the house and say, “See where you can impact me.” I think that kind of conversation has a significant play because they are looking to try and see what they can do in a fairly short period of time. I think however it’s fair to say for most people, it is still a question of trying to improve the model. We want to still test the efficacy of the model in a small simplistic fashion, and then grow from there. Having said that, people also want to see the end of the road map. So you may end up starting with the head-count based model but I think people clearly want to see the path you will take to get them to a business outcome driven model where there is a greater skin in the game, where there is a higher risk shared with the service provider or the partner is willing to assume. So you might look to outsource a process like AP to start with. But the question that the firm is asking is, “Do you have the capability to service me across both revenue and cost and not just on the F&A side for a particular process?” So as an example, a consumer packaged goods company today might be saying, “Can you assist us with great trade promotions from a field force effectiveness stand point?” A media company is saying, “How can you assist us on the long tail monetization side?” These are revenue side conversations rather than cost conversations. They want to know that you have a way to support them on that at any point in time in the journey. They want to have the flexibility to accelerate the pace at which they do it, once the efficacy of the model is proven. I think those are probably the key things on the table. I think at the end of the day, it comes down to balancing out risk, economics, flexibility and scale, and assuming the right trade off between all of these elements. 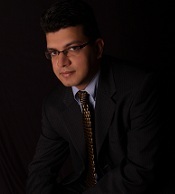 Ritesh Idnani (pictured here) is COO for Infosys BPO. During his time, the BPO business for Infosys has scaled ten-fold from a $40m business in 2005 to a $400m+ business in 2010 (the forecast is for Infosys to report revenues anywhere between $405m-$420m by end of current fiscal). He has led two of Infosys's largest acquisitions in the last 4 years, McCamish Systems, a leading provider of life, annuity and retirement services products in 2009, and the shared service centers of Philips in 2007. Looking forward for the next part of the interview ! Fab guy, could I buy the rights to your story?